I painted this around the same time as "Faith, Hope and Charity" and they are both large-format decorative paintings. 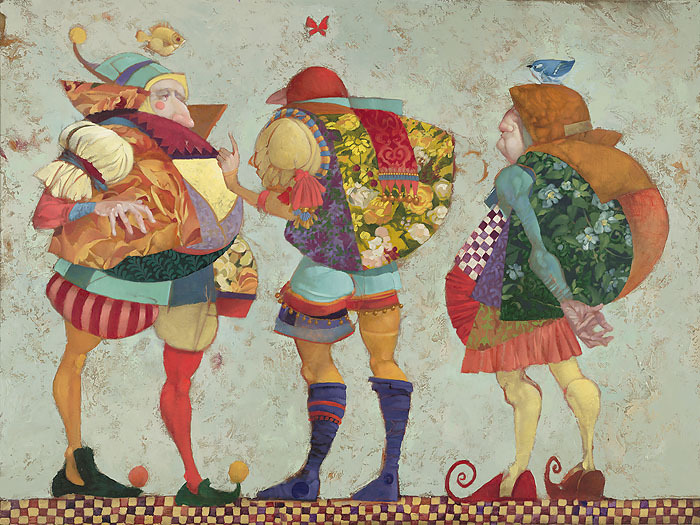 Clowns, jesters and hunchbacks are wonderful subjects to paint. Their every movement is exaggerated and their costumes are intentionally loud and silly.